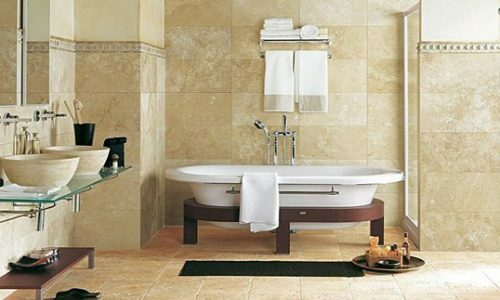 While marble itself is tough as rock, the mirror-like finish that gives it its classic elegance is more delicate. This finish relies on a perfectly smooth surface to create the gloss effect, so it can easily be dulled by pitting, micro abrasions, fine cuts or scratches. A highly polished marble kitchen worktop should not be used for food preparation directly as over time food acids and knife strikes can create dull patches and avoid putting metal or stone furniture directly on a marble floor. For the best effect, use a specialist stone cleaner to restore the polish at intervals. Marble used outdoors is typically sealed to prevent damage. Flat slabs have less risk of damage from freezing conditions, although subsidence (often seen by rocking or wobbling tiles) can cause cracks and broken slabs. Metal or stone furniture should be avoided on a polished finish as it can scratch or dull the gloss. 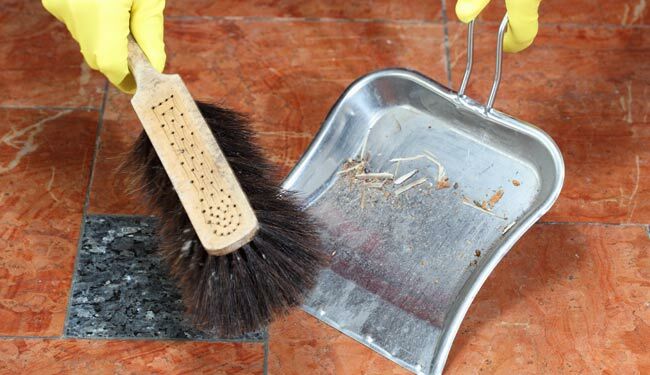 Remove lichen, moss and other dirt regularly. These more delicate outdoor decorations should ideally be wrapped or brought indoors during the winter months. In most cases, little harm will come to marble left out over the winter. However, there is some risk from the more extreme temperatures, so it’s best to be cautious. Whenever the temperature dips below freezing, water residue in tiny hollows and cracks in the stone (in the lines of a statue’s face, for example) will freeze and expand. Over time, this can cause significant damage. This will also reduce the build up of lichen and moss, which should be removed regularly as they can cause staining and damage. The kitchen is an important part of any home, not just a place for ordinary cooking and washing dishes; it is now a stylish addition thanks to the trends in modern interior design which bring out glimmer and glossiness in the kitchen environment. The ambience in the kitchen relies on the impression delivered by innovative design cabinets, granite worktops and other essential kitchen elements.